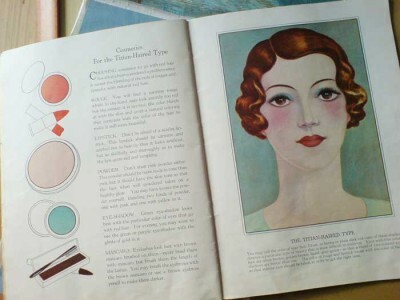 Ruth Hall takes us through the four steps in the magic of Fall eye make-up. With the days ahead getting shorter and darker, a girls eyes need to be more definite looking. 1. Placing shadow – usually this should cover the entire lid only for day use. The space between Ruth’s brow and eye lacking sufficient natural shadow, she applies a brown tone there for clearer eye contour. 2.Next, Ruth draws a light line with a brown pencil along her upper lid for a little more depth and mystery. 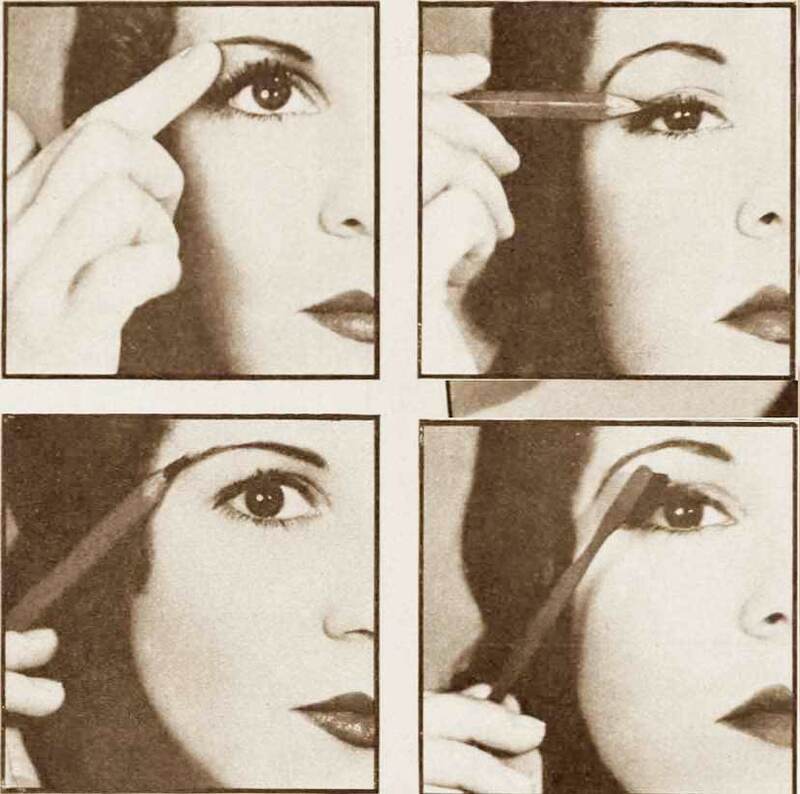 The pencil is then used to extend those brows, a telling touch for almost all types. The final step is application of mascara. And there’s a Hollywood secret – dampen your brush with saliva instead of water. After all, they’re your own eyes and mouth! A sugary quality causes the mascara to adhere better. 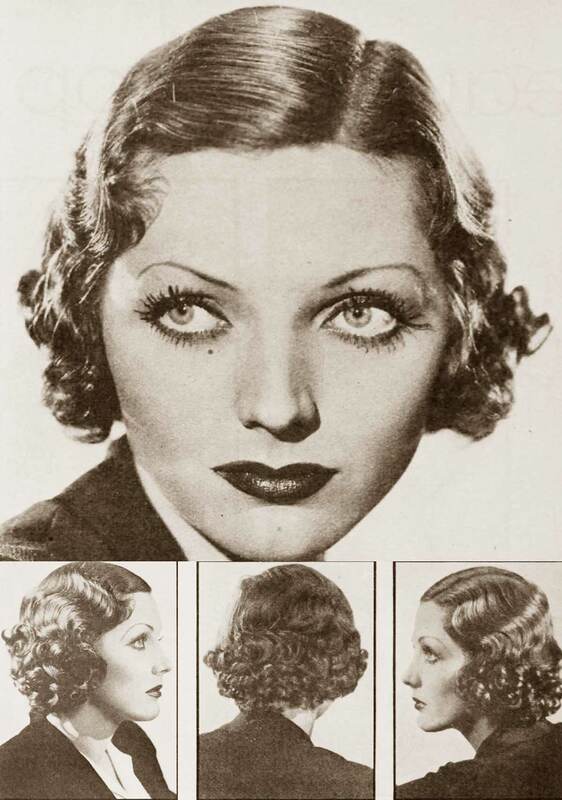 New Coiffures for Fall 1932. Here is the coiffure that is turning heads here in Hollywood this September. Adopted by Adrienne Ames, the curls are fresh from the hands of coiffure, uncombed, merely loosened a trifle with the fingers. Adrienne is still an ardent advocate of the shoulder length bob because of its adaptability. A tight curl will give it that short, chic effect, if you wish, or a looser arrangement creates a flattering, youthful frame for a pretty face ! Preserving them is somewhat a problem, but with a good wave set lotion, innumerable hair pins and a sleeping net you’re on the right way. Adrienne’s eccentric, interesting eyebrows accent the color and size of her eyes. High thin brows always do that. 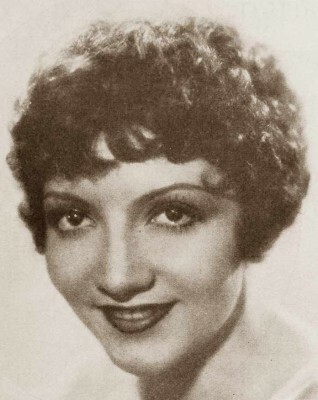 Constant confusion seems to be the keynote of this amusing bob worn by Claudette Colbert. The more disarranged, the smarter it is. The beginning of this bob is a shingle, with the shearing continued all over the head. 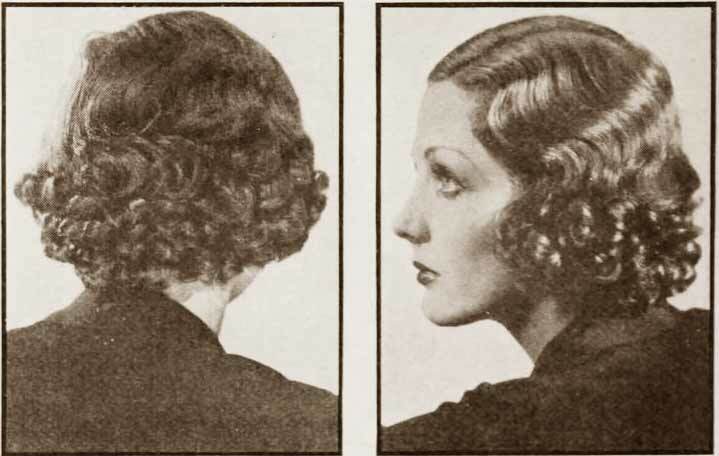 An uncurled margin of hair is left about the face for those twisty curls and forehead fringe. 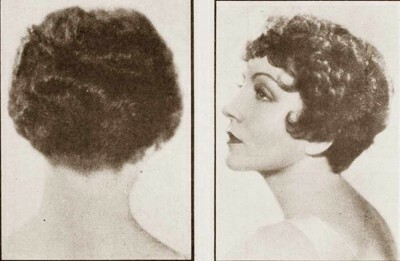 Then the hair is crisply curled over the entire head. As chic and original as Claudette ! 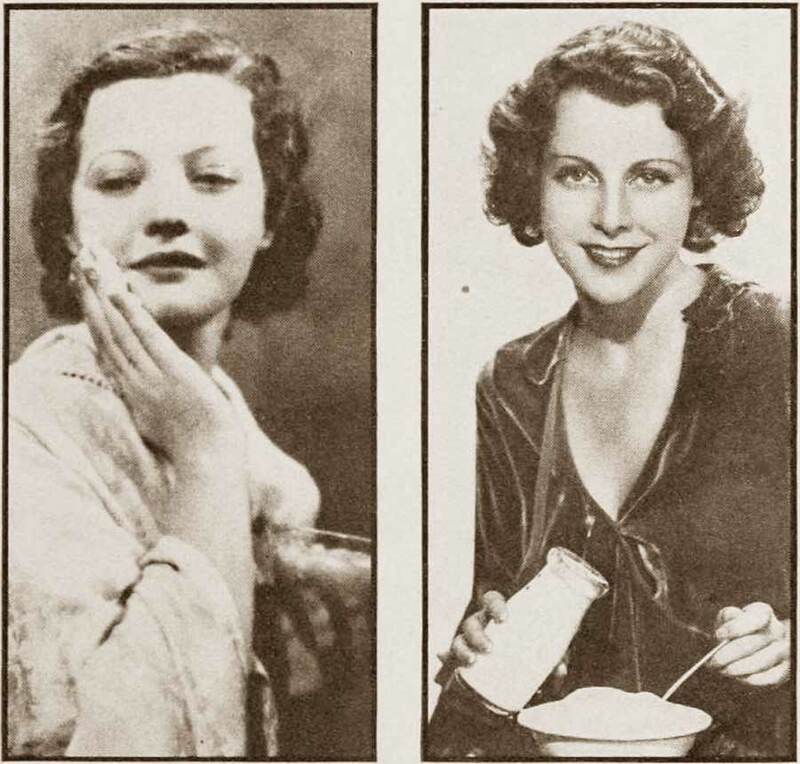 Sylvia Sidney applies beaten egg white over a cream cleansed face for an instant beauty treatment. Use about once a month.